Updated: Aug. 1, 2007, 5 a.m. The students in Georgia Southern University Professor Kent Murray’s class don’t use pencils and paper. Instead, they’re working with multi-million dollar equipment. Earlier this week, students were able to see what it was like to work in a professional broadcasting van along with several network quality cameras. The $3 million van was rented and parked outside Paulson Stadium to allow the Communication Arts students some hands-on experience in the ins and outs of broadcasting elements, including graphics, audio, tape, cameras and production. Overall, students will spend an intensive four and a half weeks taking the class in preparation for producing the television broadcasts of home Georgia Southern football games this season against The Citadel, Appalachian State and Coastal Carolina University. Most students are confident the class gives them an advantage over other students who have never had training outside the classroom. The class has already allowed one student to pursue freelance broadcasting work. 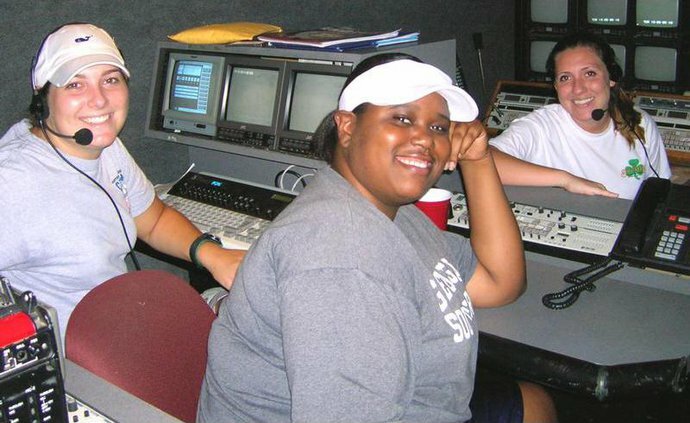 Last summer Ohki Komoto, a dual major in broadcasting and biology, took Murray’s class on a whim. He was then able to cover two GSU basketball games using what he learned. Although they are confident that they will be able to handle the upcoming games, students say that the thought of live coverage is nerve-wracking. “It’s very scary because if you mess up it’s on national television,” said senior Chealsea Harris. Murray said he plans to continue teaching the class in the future, and hopes to purchase a used broadcasting van instead of renting one each summer. For now, students will continue to learn using the rented van. And they promise their coverage of GSU football games won't disappoint fans.